Have you noticed how much online video is available for download? At first, it was mainly online tutorials that I saw, but now we’ve got everything from full college courses to “how to” channels on YouTube. While there’s been an explosion of content, I’m still constrained by my time. I needed to find a way to speed things up so I could watch more content at the same time. Below are several free and commercial tools that allow you to speed up your videos. I never worried about video playback speed until I took an online course where the lessons averaged 120 minutes. I don’t know about you, but I get antsy after 90 minutes. There were times when I just wanted to fast forward the video just to get to the end. The problem with that strategy is you often lose good content in between. My optimum solution was to find a program that played the videos faster but at a constant and pleasant rate. By “pleasant”, I didn’t want to hear annoying chipmunk voices or see people in highly animated modes. Surprisingly, two programs I routinely use included speed enhancements but were hidden. I also learned there are several ways to play videos at faster speeds, but it depends on video file format and file location. Most times, I was trying to speed up videos that I was viewing on the web. In these instances, the best program I’ve found is Enounce MySpeed . It’s a small app that monitors online videos. 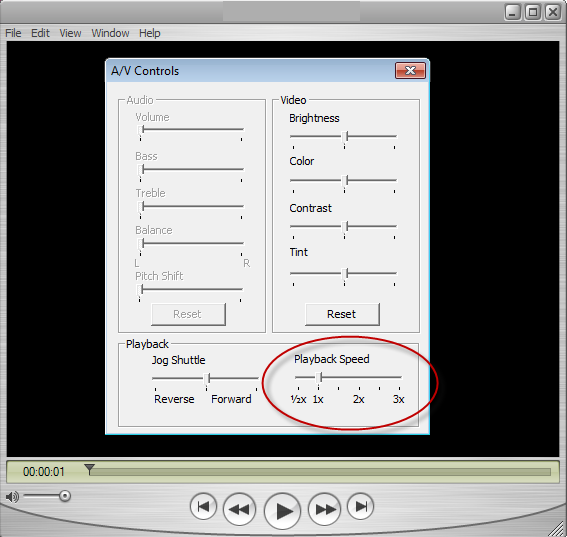 If the tool detects that it can adjust the video speed, it displays a small slider. This slider allows you to adjust video playback speed within a set range from .3x to 5x. In my testing, I found that I could easily speed up the video to 1.4-1.8x without feeling I was losing information. In some cases, I could go faster, but it depended on the speaker and the content. Some content isn’t made to go too fast. Moreover, if the video plays back too fast, the voices take on an annoying pitch. This problem happens in all players and I think MySpeed has less sound distortion than other programs. 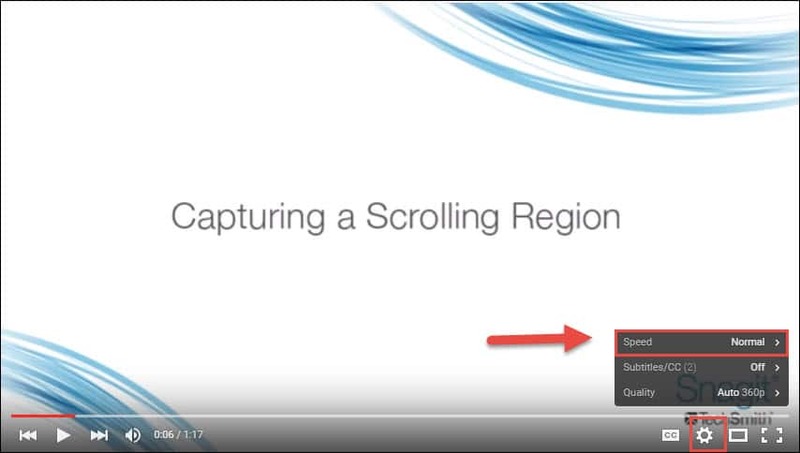 To speed up videos simply requires you to drag the slider bar control to the right. 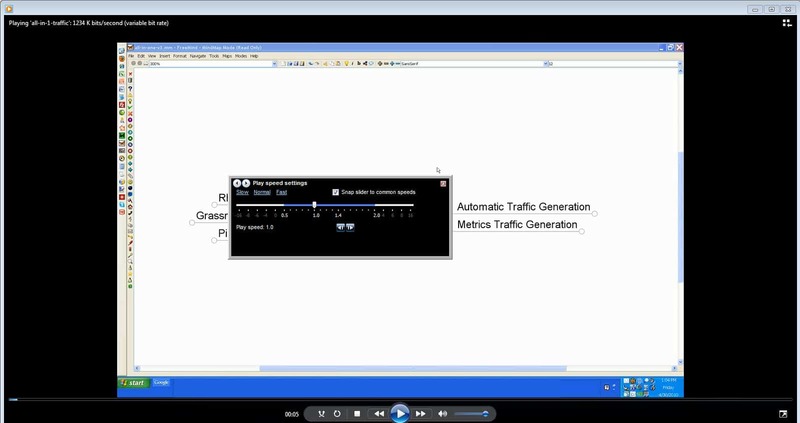 If the program detects a flash video, you’ll start to see and hear the video at the new speed. Your setting remains in place for subsequent videos. MySpeed includes a fully functional 7 day trial or you can purchase the Windows version for $29.95. They have both Windows and Mac versions. 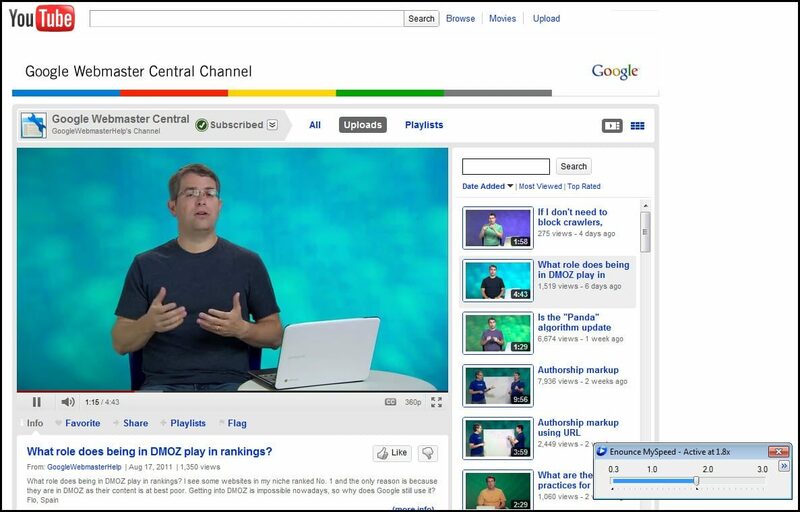 If your primary goal is to speed up YouTube videos, the speed option is now out of testing. 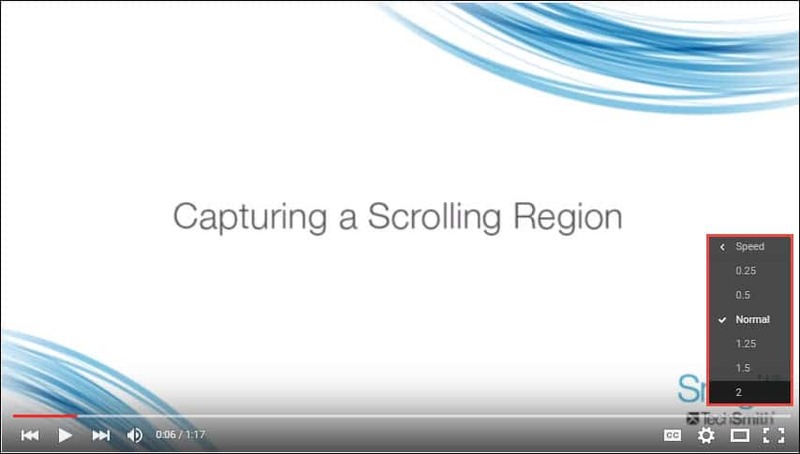 This feature is great for certain videos you can speed up the video as well as slow it down. The steps are pretty simple. In the lower right portion of the playback bar, click the circular gear icon. A small pop menu will appear with options for your video. Select your optimal speed from the menu. Sometimes the video you want to speed up is a movie you’ve downloaded to your computer such as an .avi, .wmv or .mp4 file. In this case, I would use Windows Media Player enhancements. The free program is included with most versions of Microsoft Windows . Adjust the slider bar from 1.x to your desired playback speed. Another popular video player is Apple’s free QuickTime video player that is bundled with iTunes. It plays .mov, .mp4, .avi and MPEG-1 files. Like Windows Media player, it also allows you to adjust the speed on videos you’ve downloaded to your PC. Open you movie in QuickTime Player. Adjust the slider for Playback speed in the bottom right. Your options are from half-speed to 3x normal. Regardless of what type of video you’re watching, there are ways you can adjust the speed settings. The key is to find which speed works for you. I find that when I’m learning material, I like to view using a moderate speed increase. On subsequent passes when I’m reviewing material, I’ll speed up the video playback speed even more. The bottom line is that you can control the speed if you wish.